Susie here today hosting the blog with a layout celebrating the 4th of July! 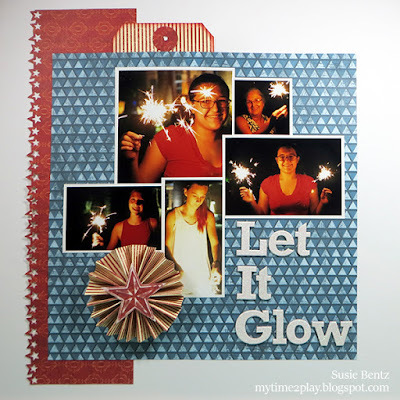 Just a little red, white and blue and you have the makings of a fabulous patriotic page! 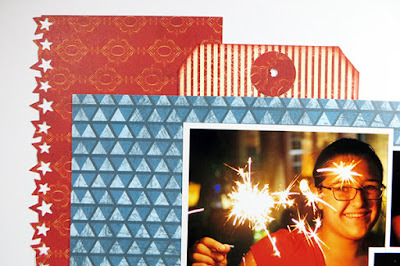 I started with a white cardstock background and added a strip of red paper from the Earth Wind and Fire Collection. I used a star punch along one edge for a festive start to the page! I added a tag crafted with a red and white striped paper, also from the Earth Wind and Fire Collection. I inked the edges with Barn Board PowderPuff Chalking Ink. The geometric blue paper is from the Urban Oasis Collection and provided a perfect central mat to hold my pictures and the title. 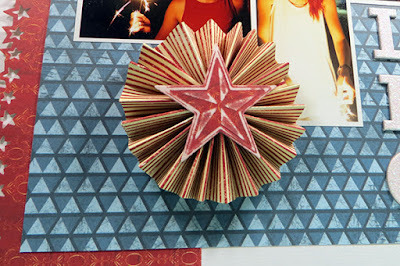 The stripe paper makes another appearance at the bottom of the page in this cute little rosette. 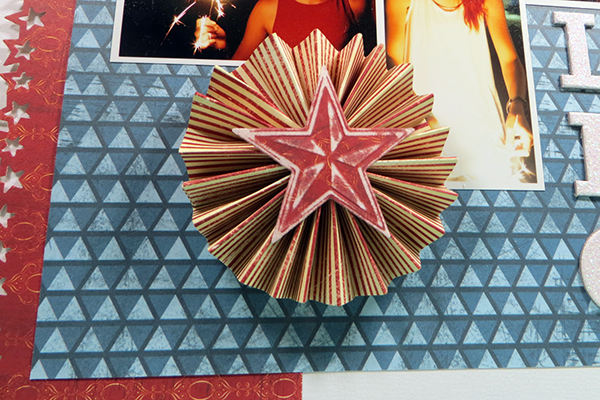 The star was die cut from the red paper in the background.